You’d think making a sequel to a popular superhero movie that won an Oscar would be the simplest thing ever. However, once you start thinking about The Incredibles 2, it becomes obvious very quickly that doing a sequel worthy of the original will be difficult. Do you do it immediately after the ending of the first film, with the kids still young and their parents fighting bad guys? Do you make the kids older? And what about the young baby, Jack Jack? We outlined all the pitfalls in this article a while back but, the first chance we got to talk to someone who would actually know, we asked. Earlier this year, io9 interviewed Finding Dory director Andrew Stanton. We’ll have more on that anticipated sequel soon, but Stanton is also a member of Pixar’s legendary Brain Trust, meaning he knows and helps with stories on every movie that comes through there. (Plus, Dory is similar: A highly anticipated sequel long in the making.) So we asked him and his producer Lindsey Collins what was the hook of The Incredibles 2? How is it going to work? They gave us nothing and everything. 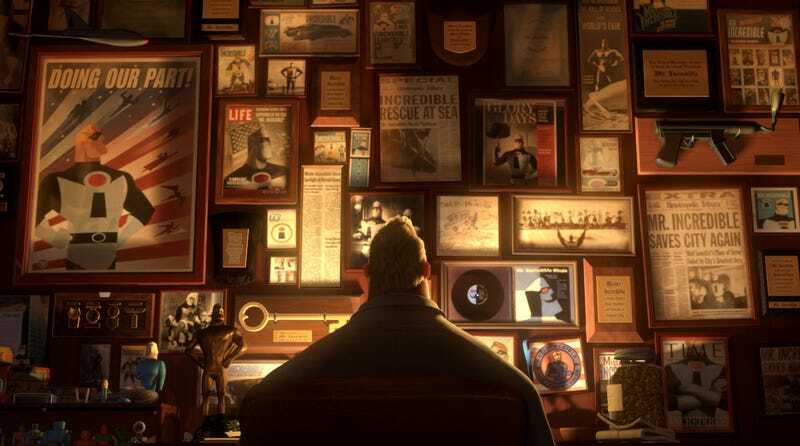 Speaking of anticipation, we’ll have to wait quite a while to see if the sequel to keeps its promise—The Incredibles 2 is currently scheduled to open in June 2019.